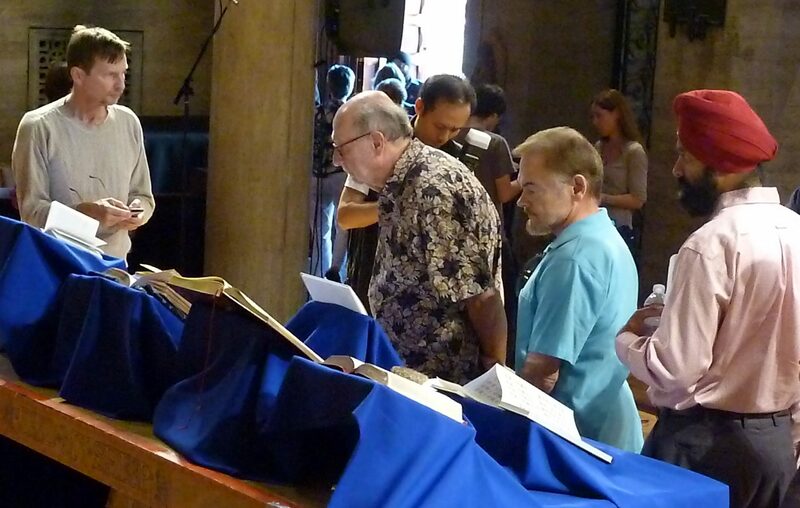 After the blessing of our children in song it was time to remember those lost in the tragedy of September 11, 2001. With the children still standing on stage, Dr. Guibord called for those who personally knew someone who died on September 11, 2001, to stand and say their name silently or aloud… and to remain standing. She then asked those who knew someone who died as a consequence of that tragedy such as a first responder who has succumbed since as a direct result of helping that day and in the days that followed to rise and say their name out silently or aloud… and to remain standing. She then asked those who know a child whom they want to see grow into a world of peace and safety, of respect and kindness, to rise and call out that child’s name… and to remain standing. 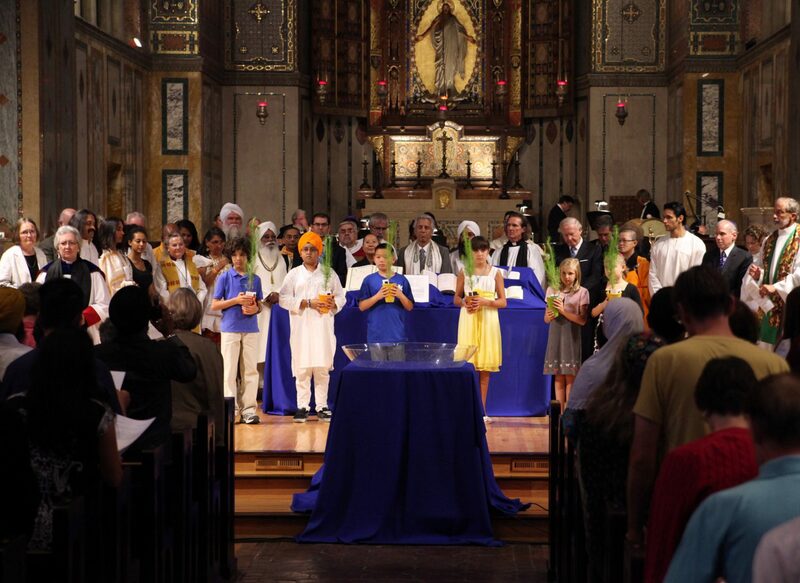 Dr. Guibord invited the entire Advisory Council and all the Participants and religious leaders and all the co-sponsors of Finding Hope in the Holy to gather together around the children on the stage. 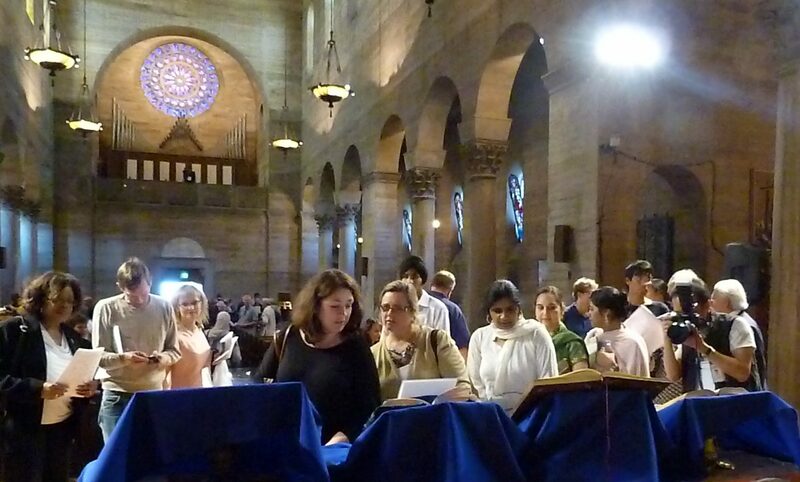 Once everyone was standing quietly she asked them to join her in reading the following pledge to the Children to honor the all names and lives they represent still vibrating through the Cathedral. 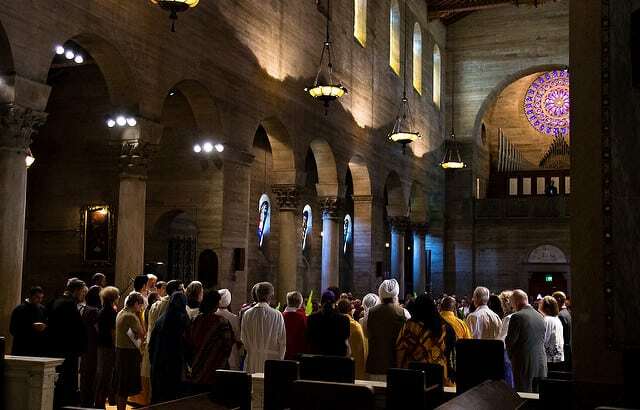 We who gather on this day to remember those who lost their lives on September 11, 2001, and in the days that followed, dedicate ourselves to honor their memories by pledging to you, our children, to do all within our power to make this world a truly safer place where all people are recognized as being equal children of the Holy. We pledge to be courageous in standing up for one another, to be bold in our eagerness to learn humbly from one another, and to be steadfast in respecting the sanctity of one another even and most importantly when there is danger and conflict. We will never forget those whom we have lost. We will keep their sacred memories alive by making your world a place where all children are part of God’s family. The thunderous notes of Aaron Copland’sFanfare for The Common Man conducted by Maestra Lucinda Carver and more than a dozen professional musicians shook the building and unleashed the tears and hopes and prayers and promises made in ashes, carried through time, released in the fierce dedication to protect the innocence of these ten-year-olds before us and all of God’s children everywhere. 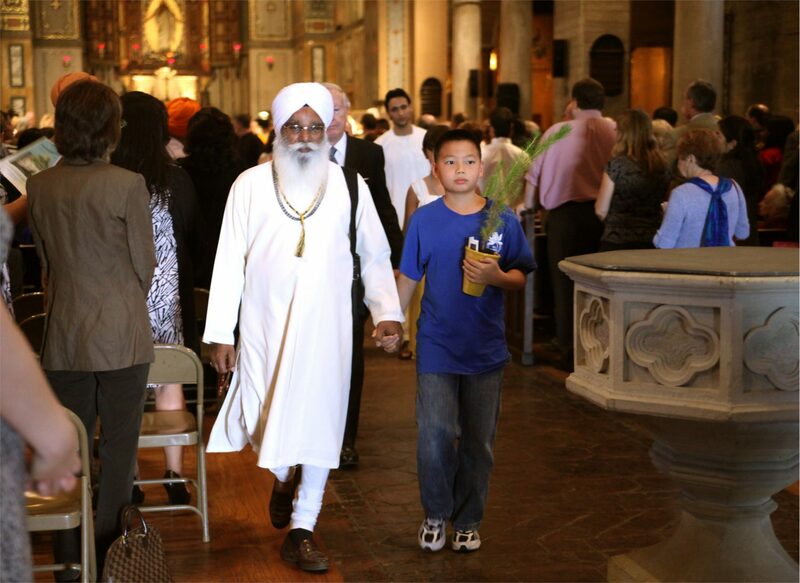 As the final notes of music settled to the ground, a ten-year-old Buddhist child took the outstretched hand of a Sikh poet and each child accompanied by a representative of a different faith walked out into the daylight holding hands, side-by-side. 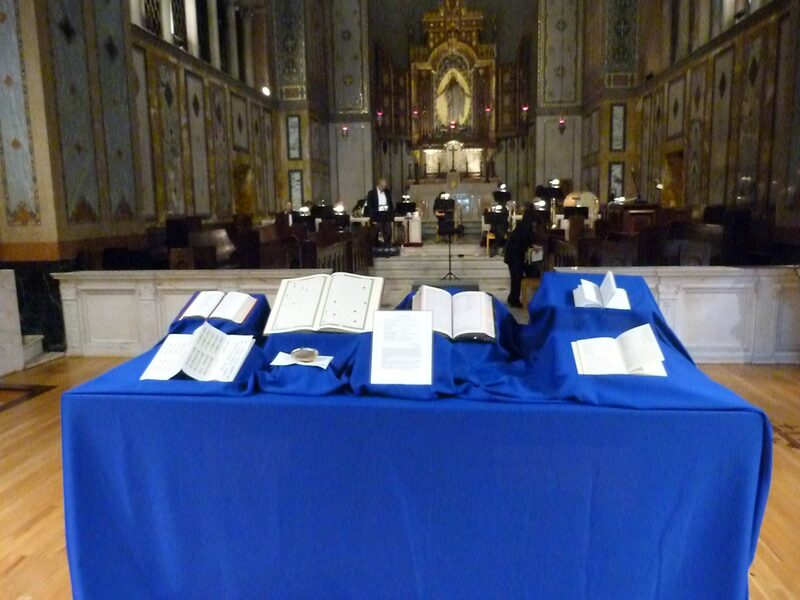 Following the service, people were invited to come up to look at the variety of sacred scriptures on the table.